Musical Fundraiser to kick off $50,000 campaign to fund necessary repairs to Walltown Children’s Theatre’s yellow house where music classes are held and where Rob started the drumming program that still thrives today. Each ticket purchased provides one entry into the raffle! 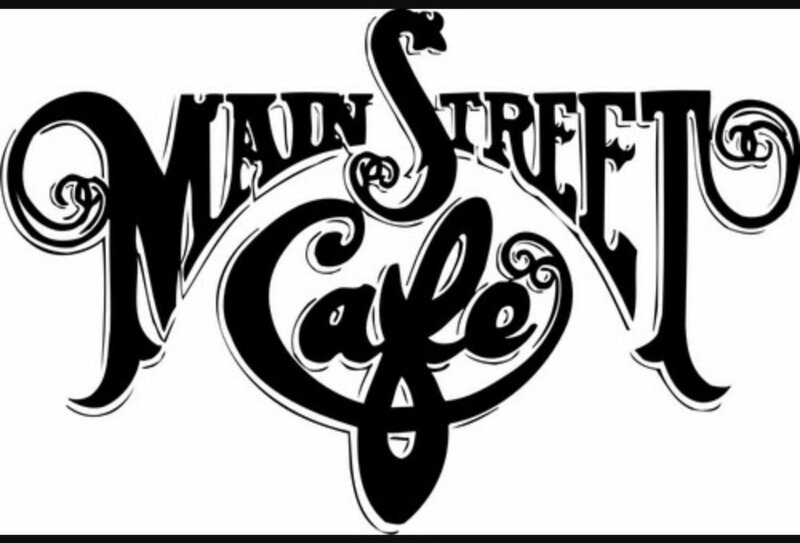 Get your tickets and/or make donations through the Walltown Children’s Theatre website. We’ll definitely be keepin’ it FUNKy at our ninth installment of FWNE. Help us kick off this first episode of 2019 and welcome guitarist Victor Shaw, a long time NuEp Suspect who will be sitting in with us. The eighth installment of our funkin’ experience will have us funkin-up your Christmas! We’ll take christmas classics old and new, and flip them into funkytown! Get ready for the 6th installment of our funkin’ experience. Well throw in a scary fun “twist” for October’s event - and we promise that you’ll love it. On October 11, more than 30 Eisenhower Fellows and Friends gathered to celebrate President Eisenhower's legacy with fun, food and fellowship. Keeping with the international theme, the food was a traditional and delicious Kenyan meal prepared by Chef Kabui. Maintaining the tradition of service, the event raised more than $2,000 for SEEDs, a nonprofit working with inner-city youth through community gardening. Entertainment was provided by Nu Epiphany with jazz, soul and rhythm. 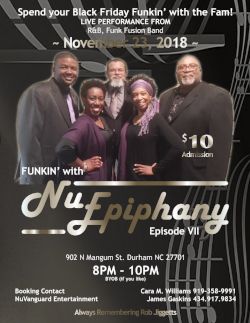 NuEpiphany will be the Featured Musical Guests at a Birthday Celebration hosted by Uchenna Bulliner in Durham NC at Duke University's Searle Center.